PeaZip is this week’s freeware pick. It is a file compression, encryption and file split utility. It is very similar to WinRar and WinZip, but PeaZip is FREE! Although it is not as powerful as WinRar and and Winzip, it should a great little program for normal users. Sorry for a week of absence! I am very sorry for not posting for a week. Also some readers that tried to view this blog in the past week were unable to view it because it was accidentally banned. But now it is recovered and I will try my best to post as much as I can this week. Free advertising and promoting your blog! Question: How can I get free advertising to promote my blog? Solution: You can get totally free advertising by using a service called ‘Ad GridWork‘. 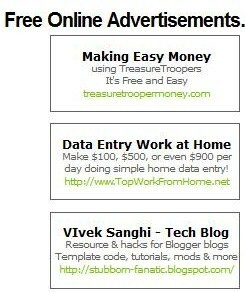 The deal is that you get to advertise your blog on other blogs while you have to publish advertisements on your blog. But you will not get any money for publishing blog ads on your site. This is a great way to exchange blogs and increase your traffic at no cost. 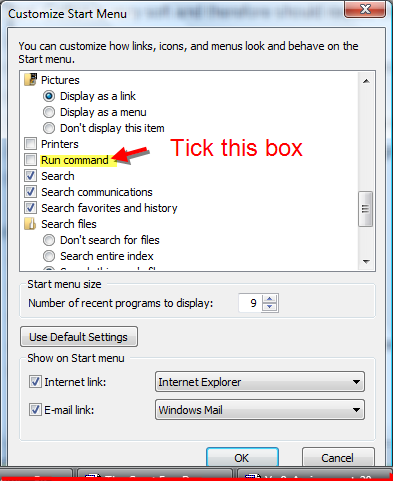 Question: Where is the ‘Run Command’ in Windows Vista? Also, I want it to appear on the Start Menu permanently. Solution: Firstly, the ‘Run Command’ is located in the Accessories folder in the Programs Files List. To make the Run Command to permanently live on the Start Menu, you will have to: 1) Right Click on the Start Menu button and click on Properties. 2) In the Start Menu tab, click on the ‘Customize‘ button. 3)Scroll down the menu and tick the option that says ‘Run Command‘ 4) Then click ‘OK‘ and now the Run Command show appear on your Start Menu permanently. Question: I cannot add my web mail account such as Gmail and Hotmail to Outlook Express in Windows XP or Windows Mail in Vista. Question/Purpose: I want to instantly access my files (documents, photos, videos, folders, bookmarks, etc) with just 1 or 2 clicks. I don’t want to go through the Start Menu nor Windows Explorer to hunt for a file. Launchy is a little similar to Engage but is does not tune up your start menu. Launchy hides in the background of your computer and pops-up when you need it. Launchy indexes the programs in your start menu and can launch your documents, project files, folders, and bookmarks with just a few keystrokes! So you can forget about your start menu, the icons on your desktop, and even your file manager. Also, Launchy is well designed and looks very modern.